After receiving the Starter Kit and putting it to use as instructed, the ER! 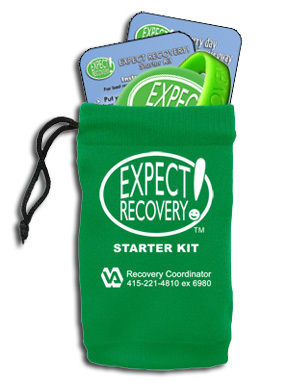 Gift bag allows the recipient to carry personal items while reminding them of the message of recovery. Very nice extra for a gift presentation package with purpose. Cobranding opportunities are available for those organizations that support the mission of recovery. SALE on ER! 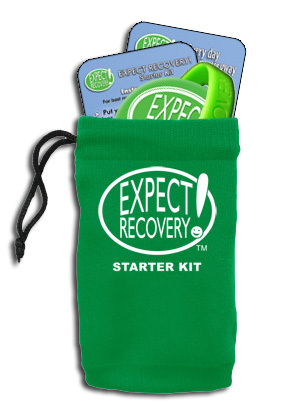 Starter Kit with your Logo! only $4 each +$50 set up through 12/31/10. (min 250 bags / $1050) Will be reflected in shopping cart.